Losing weight is definitely a complex process. It requires your motivation and hard work in controlling and maintaining several aspects of your lifestyle. Among physical exercises, mindset creation and therapeutic treatments, a weight loss diet plays the most important role throughout the weight loss process. This is not a temporary regimen, but a decision made for a lifetime! 3.65 servings a day keep your scale away! 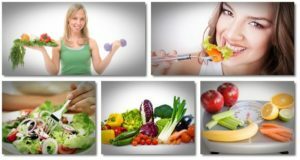 As we all know a complete weight loss plan consist of, at its minimum, a workout plan, a regimen of supplementation and a special diet to lose weight. 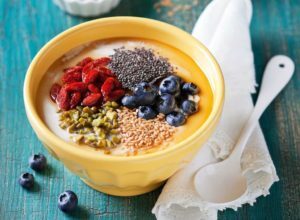 Even though you may ignore the supplementary steps such as therapeutic treatments, holistic approaches, and others, it is impossible to underestimate the importance of a healthy diet. We have seen many people, trying to lose weight only with the help of a special diet, while some others try to reach the goal only with workouts. For sure, none of them would work out! Even the most basic weight loss plans must contain a specially formed healthy and balanced diet! According to statistics, the main reason for obesity and overweight has been the wrong dietary habits. In about 90% of obese and overweight people, there is a presence of at least one of the following unhealthy habits; increased food consumption, unhealthy food cravings, increased snacking or taking meals in an irregular manner. This is a clear indication that the epidemic of overweight is a result of our uncontrollable cravings. Of course, all of us are tested when it comes to our taste buds. I have even heard many say ‘I’d rather taste this food and workout the whole day in the gym’. But, if you really want to lose weight successfully, then this theory will never work out. A diet specially designed for weight loss must be on the top of the list if you truly want to lose your weight. Low-calorie food and limiting your fats and sugars are necessary as they regulate the whole body’s metabolism. If you think you may eat anything you want and will burn those calories at the gym, remember – you might burn the calories that you consumed, but you can never eliminate the negative effects it created! The calories, the fats, and the sugars mess up with your cells, tissues, and organs. The body gets adopted into certain changes such as reduction in basal metabolic rate, leaking of the gut and resistance to hormones like insulin, which will decrease the credibility of burning fat during workouts. Moreover, our goal is not only to lose weight temporarily. We are looking at a bigger picture! Always keep in mind that we are aiming at losing weight and gaining a beautiful body to live a happy and healthy life. Therefore, it is essential to prevent all the negative impacts, the unhealthy food brings along with the round hips and a fat belly. This energy balance is required for body’s metabolic functions, functions of the brain and physical activities, while the excess energy is stored in the body as fat deposits. Think for a while, how easy it is to add calories to your body and how hard it is to burn them. It is impossible to burn all the calories we consume a day. That’s is why it is practically impossible to eat unhealthy high-calorie food throughout the day and burn the gained calories the next day by working out. So, how can you solve this problem? The first step is to limit the calories you consume. Everything unhealthy, starting from your cookies, chips and fast foods and snacks to all high-calorie sweet drinks, must be stopped. Then the next step is to replace all this with healthy options. By doing this you make sure that you are not accumulating energy in the form of fat in the body. Then, it is the right time to work out harder to shed the already stored energy excess. A special low-calorie diet is important when it comes to losing weight. 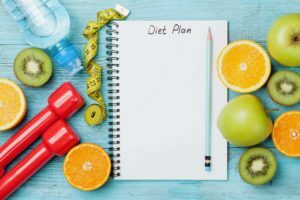 Even though there are many diets with different theories and names believed to promote weight loss, it is important to choose a diet that suits you the best. Along with your exodus from your couch potato lifestyle, you must also find a way to come out of your cravings. Anyhow, it can be a hard decision to make. But, it could also be one the best decisions you would ever make! Having a healthy diet will also save you from many medical conditions in adulthood; diabetes, heart diseases, stroke, high cholesterol levels, bowel diseases, constipations, liver diseases and much more. So limiting calories will also limit the diseases and their risks. I know that many people believe that food should be controlled only when people get old. But, this is a dangerous lie. According to science, what we eat in our younger ages defines our health in the adulthood. That’s is why childhood obesity has become the main risk factor for obesity and diabetes in adulthood. A healthy weight and a healthy diet are a necessity of all ages. Even if you are in your teenage or if you are in your late sixties, make sure you consume healthy food and healthy drinks. This is a frequent question many people ask. But, the answers we find on social media confuses us as they are bias all the time. One might ask you to be vegan while another ask you to be paleo. Anyhow, in the midst of so many options, many of us feel lost and confused thinking which diet would really help in losing the weight. Even I was confused for many years until I found the most valuable secrets of a healthy diet. In a simpler way, I could also say – a healthy diet is a diet for weight loss! You may consider following any diet as long as it is healthy. But, make sure that your diet follows the following guidelines as these rules optimize your diet for weight loss. The proteins you consume can come from plant food or meat. During weight loss, it is important that you increase the consumption of plant origin-proteins and reduce the number of meat proteins, as meat contain a high amount of saturated fats that are harmful to health. They may disturb your weight loss plan as well. Therefore, replace meat proteins with plant proteins as much as possible. The best sources to find plant proteins are soy, lentils, chickpeas, mung beans and kidney beans. A person should consume a minimum of 50g of protein a day. 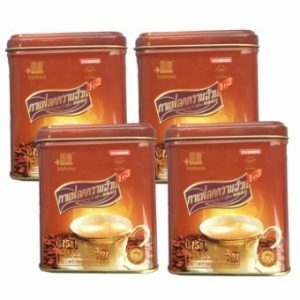 It is compulsory to fulfill this requirement during your weight loss for many physiological reasons. During workouts a person loses his muscle bulk and to restore this bulk as well as to support the increased metabolism, proteins should be consumed in a surplus. This nutrient is required for your bodies new cell formation and also to increase the strength and fitness. It is recommended that you consume proteins as much as possible so that you fulfill the increased protein requirement of the body while losing fats. Yes, we know that many people try zero fat diets to lose weight. But, there are many research and clinical studies showing that carbs are responsible for causing obesity than fats. Weight loss with zero fat diets is unsuccessful as the good fats promote weight loss. Olive oil is one of the best examples of unsaturated fatty acids that promote weight loss. Also, Omega 3 fats and long-chain unsaturated fats also play a central role in supplying your body with enough energy during workouts, even when you reduce the consumption of carbohydrates. I recommend using olive oil, coconut oil, sunflower oil, grape seed oil and others in your food. Fish is one of my favorites and I love the fact that it is the best source of proteins and good fats. Fish must be the main component of your diet during weight loss. Adding fish will help you fulfill daily protein requirements easily and also to add a lot of omega 3 fatty acids which is necessary for your good health throughout the process. At the same time-consuming sea fishes will also ensure an intact supply of minerals such as calcium, iodine, and phosphorus that are necessary for metabolism and muscle work during physical activities. The much brighter and the colorful the plate is, the much nutritious the food will be. Colorful vegetables and fruits contain enough of vitamins, minerals, and antioxidants that are necessary for a healthy weight loss. During the process of losing weight your body function at a higher rate and requires these nutritious components for cellular activities. Also, the metabolic wastes produced are very high that they need to be rapidly neutralized. The antioxidants that come from fruits and veggies will make sure the active components are deactivated and flushed away saving your cells and tissues from the damage caused by them. Not only vitamins, minerals, and antioxidants, but the vegetables also contain certain chemicals that are of utter importance for a healthy skin, hair, and nails. The colors of veggies and fruits are not just natural dyes but are also natural healers and defenders. Do not forget to eat as many veggies and fruits as possible as they are low in calories, low in carbs and high in nutritional value. 5 servings a day keep your scale away! Many people ask how much of veggies and fruits should a person consume. According to the dieticians and physical trainers, a person should consume five servings of veggies and fruits per day. This can also be equalized as five handfuls of each. It can be divided among your meals to make sure you complete the requirement throughout the day while enjoying the taste and freshness. This five servings can be consumed fresh or as frozen products. But, I recommend that you consume fresh food as much as possible as their nutritional value is high. When you consume a lot of veggies and fruits, you also consume a lot of fibres. But, a healthy diet should contain more fibres to improve your digestion and gut health. Bran is a healthy way of adding fiber to your diet. It inhibits starch and carbohydrate digestion and thereby reduces the carbohydrate absorption by reducing the glycemic index of the other food. While improving the motility of the bowels, fibers make sure that you do not suffer from constipations during the weight loss program. Having a good gut health will support your dietary changes and also will also reduce the gut leaking effect of gluten and other food. 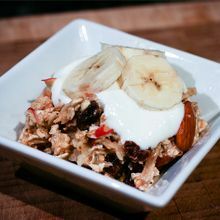 Add kefir and yogurt that comes with bacteria which improve digestion. The most famous bacteria that promote gut health are bifidobacteria and Lacto bacteria. Consuming them will ensure that enough of vitamins are produced in the gut and also their absorption will be efficient. Farmer cheese is a great source of calcium and phosphorus. If you are a risk of developing osteoporosis or if you are at an elderly age, then you definitely need to include farmer cheese to your diet to get enough calcium and to make sure your bone are strong enough. Fat-free farmer cheese contains fats, but disregard this as eating farmer cheese can add greater benefits to your health. A handful of nuts can complete the daily fat requirements. Also, the fats that are found in nuts are good ones and contain omega 3. I highly recommend that you take cedar nuts at this stage. They contain a lot of polyunsaturated fatty acids and omega 3 which are healthy. Also, they contain L-arginine. Nuts are great snacks to be added in between your meals. While vanishing you small hunger it will help in keeping your calories in a low profile. This is optional. But, I used this as wine contains a lot of antioxidants and also according to new findings, wine helps in reducing cholesterol level and lipid circulation when taken in a moderate amount. Drinking enough water is also necessary during your weight loss program. Many people ask “How much water should I drink to lose weight“. The answer is you should drink water more than 2-3l as you sweat a lot during your workouts. Also, due to your higher metabolic activities during this program, there is a lot of metabolic waste produced that needs to be flushed away rapidly. I also have read many scientific papers which say drinking surplus of water help to reduce water retention in the body and will thereby reduce the body weight. It is true that the right feeding in a necessity. But, it is quite obvious that how hard you try, you might not fulfill all the daily requirements of each nutrient. Moreover, the increasing demand of proteins during your workout plans will also anyhow leave a lack of protein requirement satisfaction. That is why it is necessary to supplement yourself with vitamin and mineral complexes, Co-enzyme Q 10 and proteins (L-arginine). You might already know what a balanced diet or right feeding is. But, when it comes to weight loss, you should know to balance your feeding while adapting to your weight loss requirements. A weight loss percentage calculator can help you to check the progress of your weight loss and the effectivity of your diet. In our lessons and weight loss plan, we introduce you into deep details such as counting your daily nutritional requirements and maintaining a healthy diet. Come join us to learn more about how to plan your diet for a successful weight loss!